A talented multi-instrumentalist, Walter Chancellor has been a mainstay in the Twin Cities contemporary jazz and R&B scene for over a decade. 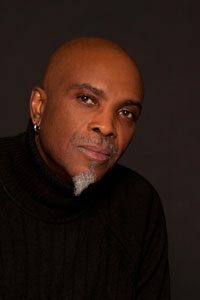 Walter has performed and recorded with various national and local acts in the Twin Cities music scene such as Prince, with whom Walter received platinum record status for his sax work on Prince’s “Emancipation” CD. Additional artists include Chaka Khan, Bobby Lyle, Musiq Soulchild, Larry Graham, Louis Johnson, DJ Kaskade, TKO, Thomasina Petrus, Erica West, Best Kept Secret, Debbie Duncan, Bruce Henry, and Conversation Piece (4 years as House Band for Jazzmine’s Night Club). Drawing his inspiration from early jazz and funk luminaries, Walter’s diverse background also includes extensive experience in Audio and MIDI production & composition. He was instrumental in the launch of an after school program called “Ideawerks,” in which he taught and wrote and created curriculum for the after school and summer programs at Powderhorn & East Phillips Parks in Minneapolis, MN aimed towards 12-18 year old children. Through his own production company “Chancellor Music”, Walter provides music production, songwriting, and session work for local & national artists alike, film, advertising, corporate groups, and other private entities.